You have been charged with treason against the Empire and placed on death row. The Emperor offers you a choice: die a slow and humiliating death or serve as a Gun Dog, a soldier assigned impossible missions and tethered by a magical collar. The collar will choke you to death if you disobey your mission orders. You will be sent where an army cannot go and an angel would fear to tread. You are expendable. You are a gun Dog! The discovery that your grandfather has been murdered by outlaws shatters the solitude of your peaceful existence. Taking up your sword and bow you set out upon a dangerous path of revenge while seeking to satiate your thirst for vengeance. Your quest will lead you deep into the depths of the ancient Moonglade Forest, as you seek to retrieve a mysterious item that was stolen. Will you be able to uncover the truth behind the reason for your grandfather’s brutal murder? 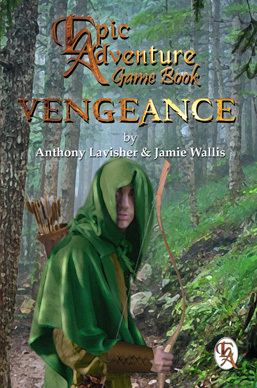 Welcome adventurer to Greywood Publishing's first Epic Adventure Game Book – Vengeance, set in the mythical lands of The Four Vales. 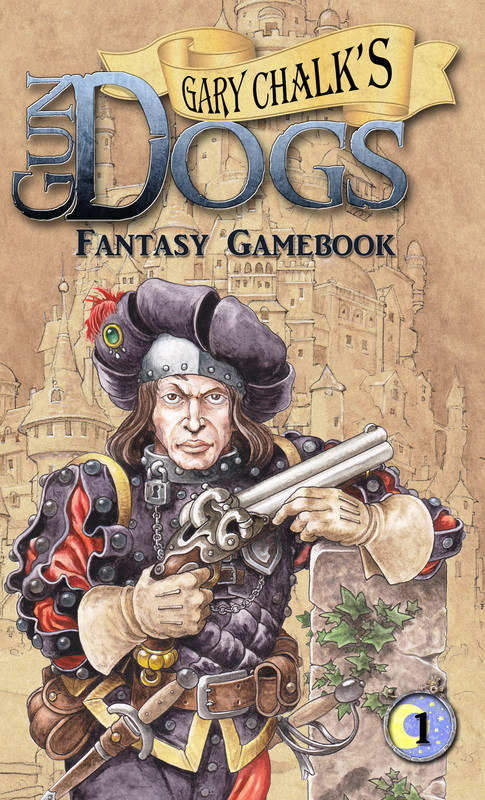 Unlike a normal book, this is an interactive game book that allows you to create a character and decide your own path through the story. All you need are two dice, a pencil and paper to begin your Adventure. Choose your destiny or discover your fate! The choice will be yours. Gun Dogs is © Copyright 2016 Jamie Wallis and Gary Chalk.